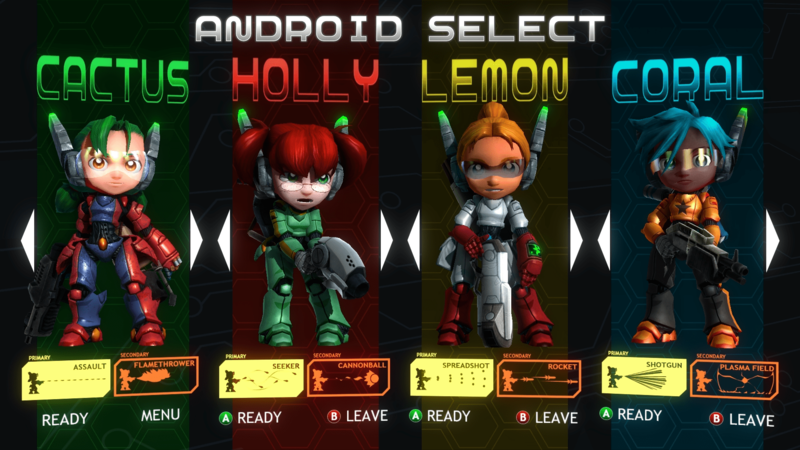 If you followed my exploits last year in PAX Prime, it’s no surprise that I have past experience with Assault Android Cactus. In case you need a quick rundown, it’s a twin stick bullet hell SHMUP with adorable little androids by awesome Aussie devs Witch Beam. However, it’s been a while since I last played the game, and it has come a long way in the year or so since I last laid hands on it. Let’s recap what is new and exciting. First off, besides many subtle tweaks to make the game more balanced, they also added EX Options, such as first person camera, visual and audio filters and more, as well as Mega Weapons. Mega Weapons are over the top versions of their primary weapons, and do ridiculous amounts of damage. I was very pleased as well with the new cutscenes, before and after you enter a new section of the ship, and map. Before, you selected from different static levels from a list, but now you see a 3D representation of the areas you are working through. Best of all, with the co op help of Tim Dawson, head designer and programmer, I was finally able to beat the boss called Justice. Co op is truly fun on the PS4, and the controller works very well for the twin stick madness that ensues. 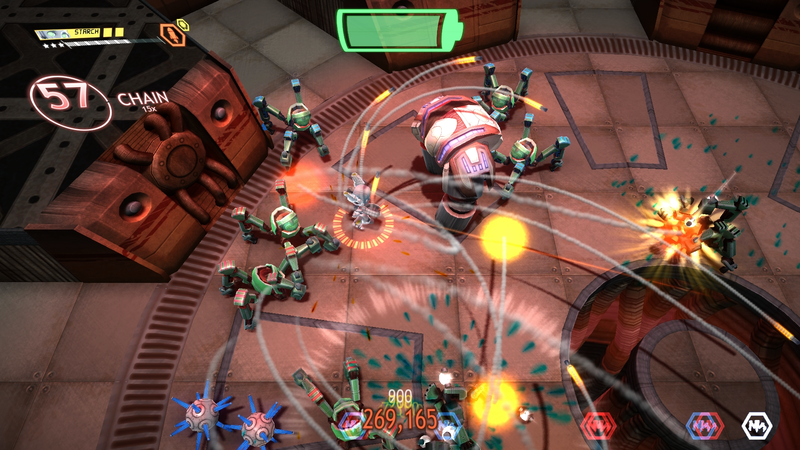 Though it is already out on Steam Early Access, the full version of Assault Android Cactus is slated to head to PS4 and PC this Summer, and later to make it’s way to Wii U and Vita. I personally am very excited about the prospect of playing this on my Vita, and recommend it to any fans of twin stick, bullet hell or just SHMUPs. It’s a lot of fun, and thanks to the new tweaks and features, is a very well rounded experience. Witch Beam continues to be one of my favorite Devs Down Under.